Substantial dwelling with gated/intercom private drive, garages, ample driveway parking and full balcony overlooking the tennis court, set within it's own plot of land. This four bedroom split-level bungalow has lower ground floor accommodation for a live-in relative. Call 02174 589132 to view. Having been generously extended and tastefully renovated, this beautifully presented and much loved family home must be seen to appreciate the standard of accommodation on offer. 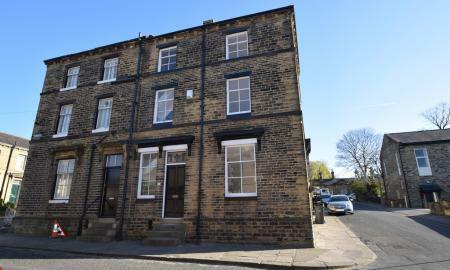 Situated within the ever popular and sought after area of Roundhay, the property has maintained its period charm whilst being adapted to offer a spacious and modern living space, perfect for a growing family. Originally built in 1890 this three bedroom period property is set in a scenic location alongside Townclose Hills Nature Reserve. Full of charm and situated in a generous sized plot the property benefits from two receptions rooms, family kitchen and a conservatory to the ground floor and three bedrooms and house bathroom to the first floor. 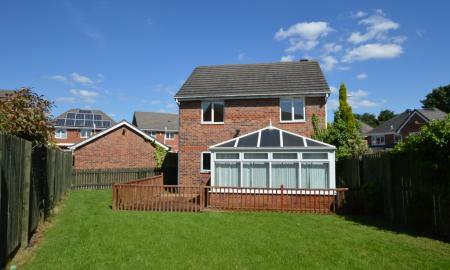 Externally there is a well established private rear garden, courtyard and large detached garage. Kippax is a desirable village with local amenities, schools, leisure centre and the A1/M1 link road. Garforth town centre and train station are only a short drive away making it the ideal location for families. Offered to the market is this fantastic four bedroom detached family home in a popular residential area with easy access to schools, motorways and bus routes! The accommodation briefly comprises; to the ground floor: Entrance hall, downstairs W.C, living room leading to separate dining room, conservatory and kitchen. To the first floor: landing, four good sized bedrooms (master having en suite shower room) and house bathroom. Externally the property benefits from a large driveway, double garage and good sized private garden to the rear. 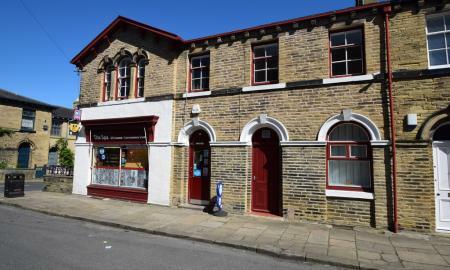 This grade II listed building, currently run as a convenience store, offered for sale as residential property with planning permission granted for 1 house and 2 apartments. See planning ref 17/06218/FUL . The property has great potential and could possibly be changed to offices subject to planning. 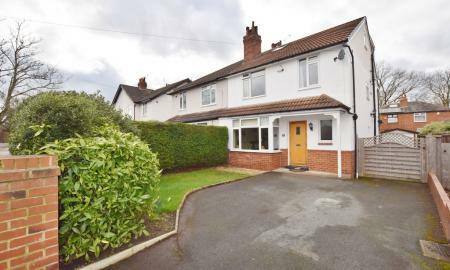 Martin and Co - Wakefield, are pleased to bring to the rental market this deceptively spacious four bedroom detached family home. 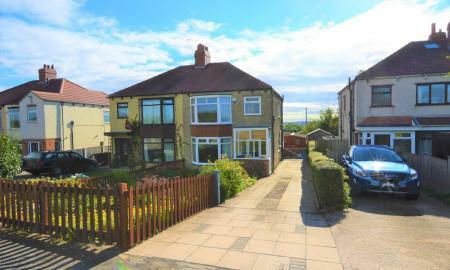 Situated in the popular area of Wrenthorpe. Briefly compromising of spacious entrance hallway with stairs to the first floor and door to the through living / dining room, door to large L shaped kitchen with downstairs toilet and rear porch. To the first floor is the house bathroom with four piece suite. Three double bedrooms and one single bedroom. Externally is a good size rear garden, front gardens and driveway parking with car port and garage. This property has lots of potential. 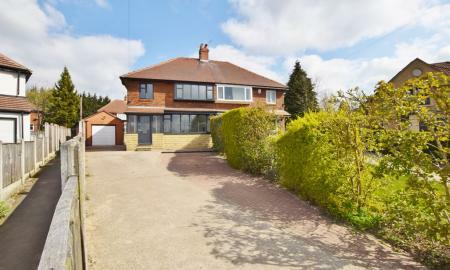 CHAIN FREE Located on the edge of Scholes village, this fantastic three bedroom property offers easy access to Leeds and the motorway system, yet still allowing you to wake up with beautiful country views. South facing stunning garden with views of the fields beyond. Located in the heart of the City, this spacious two bedroom, two bathroom apartment is perfect for true City living. 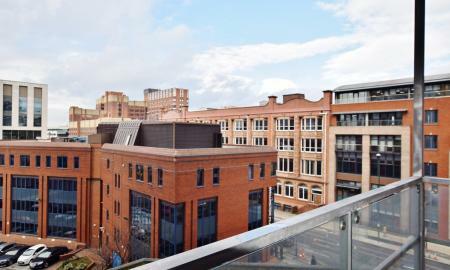 Park Row is a converted development of just 35 apartments with all the amenities of central Leeds on your doorstep. 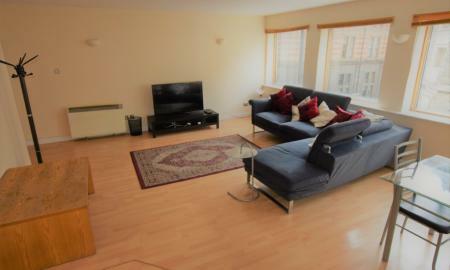 Martin and Co are delighted to present this spacious two bedroom apartment to the sales market. Currently tenanted until April 2019 and close to local amenities, it is an attractive buy for investors and First Time buyers with the option of vacant possession or tenant in situ. Martin and Co are pleased to offer for sale this spacious two double bedroom apartment recently refurbished to a high standard. 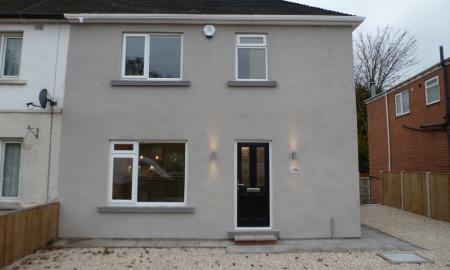 Close to the city centre and within walking distance of the train station. Five Bedroom Family Home!! 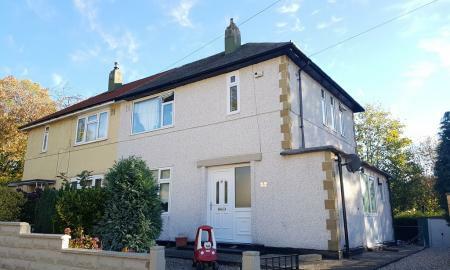 This spacious accommodation comprises: entrance hall with w.c. and storage cupboard, sitting room, dining room and kitchen, five bedrooms with master en-suite, house bathroom, rear garden. Outside storage space and driveway parking. Short commute into the City Centre, close to public transport. 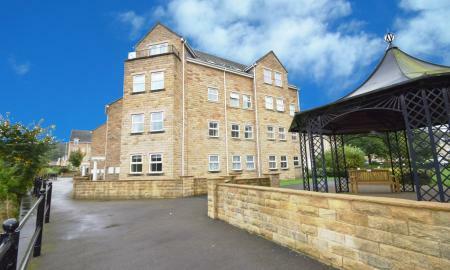 Superior three bedroom duplex penthouse apartment in this prestigious development in Apperley Bridge. 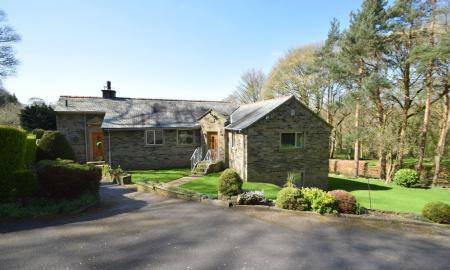 Set in a beautiful position with long reaching views over the river and open countryside and only a short distance from Apperley Bridge Train Station for easy commuting. Martin And Co - Wakefield are pleased to bring to the market this unique and beautifully appointed two bedroom detached house. Well located for amenities and transport links. This property is a must see to fully appreciate its internal specification. *** FANTASTIC THREE BEDROOM SEMI DETACHED house offered with NO CHAIN**** A WELL PRESENTED property with the added benefit of a LARGE PRIVATE GARDEN. Close to RING ROAD ACCESS LINKS and LOCAL AMENITIES. The property can be entered by the front door into a spacious hallway or by the side door into a useful entrance porch with storage cupboard and downstairs WC. The kitchen comprises of a range of wall, base and drawer units and a pantry. The living room is large and bright with dual aspect uPVC windows to the front and back. Neutrally decorated with wood effect flooring. Upstairs to two double bedrooms both with Fitted Wardrobes and one single.There is an electric shower above the bath and a separate WC. 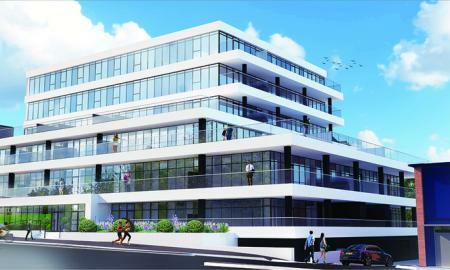 Air Quay is located in the award winning development h2010. 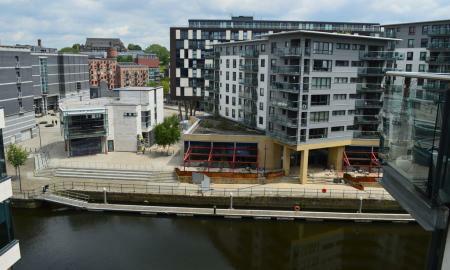 h2010 is situated along the River Aire to the south of the City. 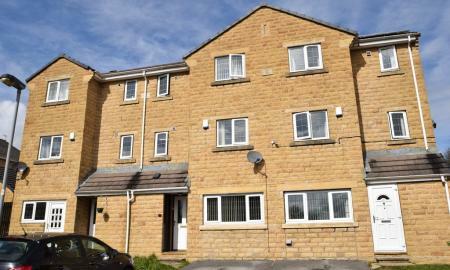 Offered for sale is this well presented two bedroom, two bathroom ground floor apartment which comes complete with modern fixtures and fittings and allocated parking. 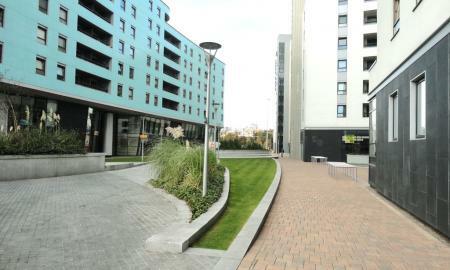 A two bedroom, two bathroom apartment with balcony in The Gateway South. The Gateway Has A Residents Gym, 24/7 Concierge service and onsite convenience store. The property comprises; open plan living room with high gloss black kitchen. 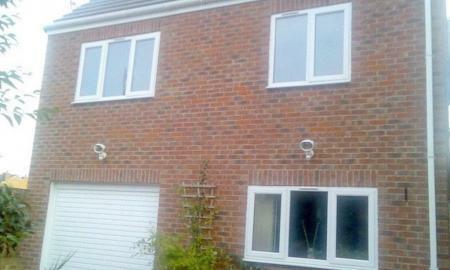 Balcony off the living area, master bedroom with a shower room en-suite, second double bedroom. * 7% GROSS YIELD ASSURED FOR TWO YEARS * Introducing Lucent Square * On the back of a strong structural design and modern minimalist aesthetic, Lucent Square focuses on the essentials of living: space, light and nature. The development will have balconies on most units and is in close proximity to many amenities, major employers and transport links. 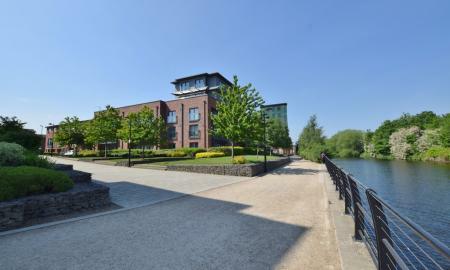 Whitehall Waterfront is located just a short walk from Leeds Train Station. 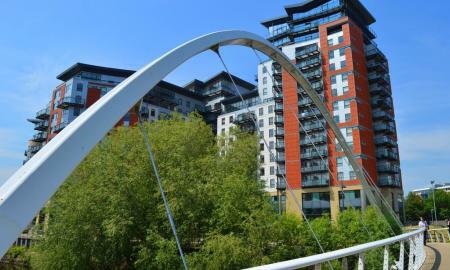 This second floor apartment has two double bedrooms, two bathrooms and a great size balcony with views of the River Aire. Three bedroom semi detached in a popular area of Wrose, with gas central heating and mainly uPVC glazed. 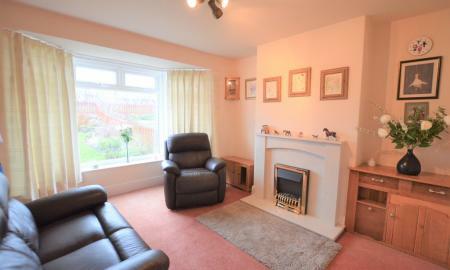 Briefly comprises: lounge, conservatory, kitchen, three bedrooms, house bathroom. 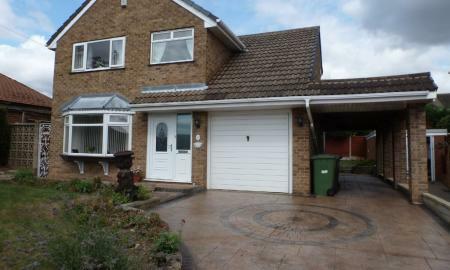 Tandem garage, patio area, enclosed garden to rear, car port, gated driveway. 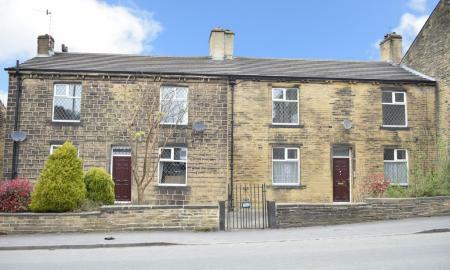 Great family home or potential investment.